The OneLogin Browser Extensions can prompt you to add an app to your Company or Personal app catalog when you log into the app. 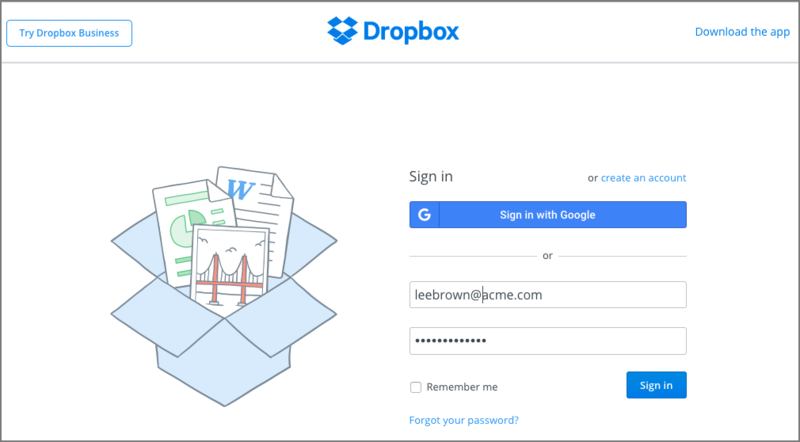 It's an easy way to add apps that use form-based authentication to your app catalog. It's what provides the dynamism to OneLogin's "Dynamic App Catalog." The latest versions of the Chrome, Firefox, Edge, and Safari browser extensions include this feature. Not available for Internet Explorer. How do admins enable Add App? How do users enable Add App? Make sure that you have an active OneLogin session. The Add App dialog appears. 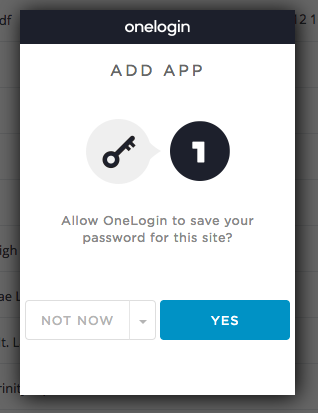 Click Yes to let OneLogin save your credentials for the app. You can dismiss the dialog by selecting Not Now or Never ask me again from the drop-down. If you select Never ask me again, you won't see the dialog for any sites you visit, unless you re-enable Add App on your user Profile. The dialog displays the app name and asks if you want save the app to your Personal apps (just for you) or the Company app catalog (eligible for your account admin to make available to other users in your organization). After you make your selection, click ADD. Optionally, you can change the app display name by typing over the default name (highlighted in blue when the dialog appears). Now your app appears in your OneLogin portal. If you added it for your company use, it will appear among the company apps on your OneLogin portal page or browser extension drop-down menu. If you added it for your personal use, it will appear among the personal apps on your portal page or browser extension drop-down menu. For users to have access to Add App, you must assign the user to a User Policy that has Add App enabled. Log into OneLogin as an admin. Go to Settings > Policies and either select an existing User Policy or click New User Policy to create a new one. If you want everyone to be able add apps through the Add Apps dialog, you might want to select your default user policy. 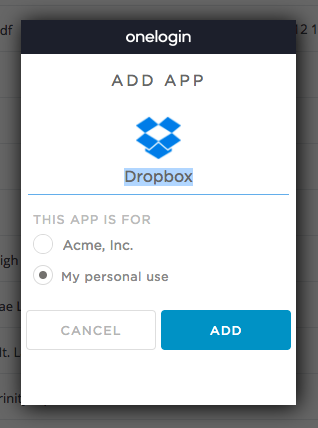 Assign the policy to the users who should have access to Add App. Once an admin adds a user to a policy that allow access to Add App, the user will start seeing the Add App dialog when they log into sites that use form-based authentication. Users can choose not to see the Add App dialog, however, by going to their user Profile page, selecting the Preferences tab, and clearing the Add Apps checkbox under Browser Extensions. To see the Add App dialog again, they can select that checkbox. Note. If a user selects Never ask me again when prompted by the Add App dialog and they later change their mind, they must go to the Profile preferences and select the Add Apps checkbox to see the Add App dialog again. Add App might offer to add the wrong app, especially when a vendor runs multiple apps on the same domain. If Add App is offering to add the wrong app, contact OneLogin support. Add App only works with 2-field login forms (username and password). Three-field login, multi-step, or multi-page login require a special script. You can request a catalog connector be created in this case. If Add App doesn't offer to save your credentials when you log into an app that uses only username and password for login, contact OneLogin support.